Yahoo Mail is marking its tenth anniversary by announcing the roll-out of unlimited storage for users - although we'll mightily interested to read the 'fair use' elements in the new service's terms and conditions. The company will start by upgrading US accounts and will reach the rest of the planet before the beginning of July. The move is clearly aimed as a broadside at other providers such as GMail , which offers more than 2GB of storage. Yahoo Mail has more than 250 million users, according to figures released by industry-tracking comScore Media Metrix back in January. In a statement, Yahoo says that "increased storage is vital" while "email requirements have changed over the years." Yahoo's email provision currently boasts a 1GB cap for free e-mail accounts and 2GB cap for premium accounts. "Users now require increasing amounts of storage capacity for important trends such as photo sharing and social networking and more. Yahoo! has addressed this development." 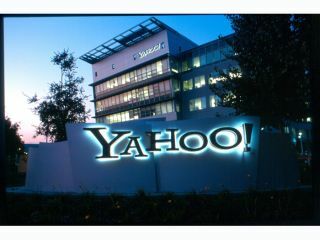 "We are viewing this as a gift to our users worldwide in recognition of what they done for us and in recognition of what they are doing now on the Internet," Yahoo Mail vice president John Kremer told AFP . "We see people increasingly sending more photos -- richer media formats in all different types -- really driving the amount of storage up beyond the levels they were a year ago." The fledgling Yahoo bought email service Rocketmail in October 1997 and relaunched it as Yahoo Mail. It had 4MB of storage. The company was planning to launch a 2MB service, recalls Kremer, but it was deemed as not enough.